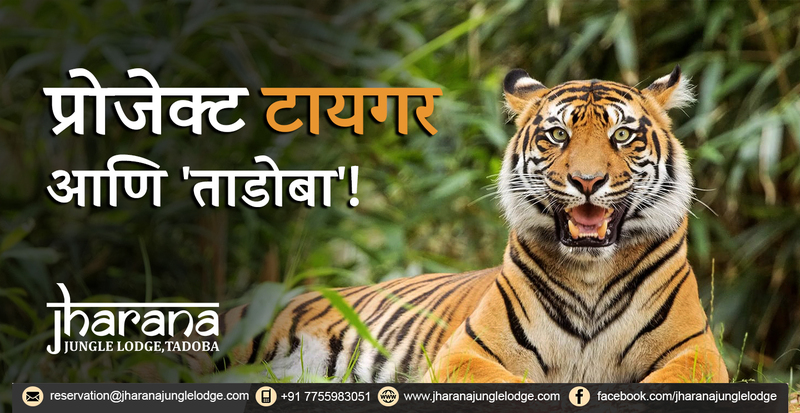 Talk about Tadoba and we immediately think about our striped wild cats tiger. Although Lion is a king of the jungle, tigers have their royal appeal. There are several wildlife reserves of Tiger in India and Tadoba Andhari Tiger Reserve is one of them. These reserves need to be preserved and maintained to save our ecology. Tadoba is named after a god ‘Tadoba’ or ‘Taru’ worshipped by Tribes. It has become one of the hotspot for adventure and animal lovers. There are few wildlife sanctuary who have been taking ‘save tiger’ mission seriously. Tadoba has always been portrayed as a tourism spot attracting several tourists. Tadoba also has other mammals like Indian leopards, sloth bears, Jungle Cats and small Indian Civet among others. There are various reptiles, bird species and insects that are balancing the ecosystem. The main attraction of the place is the safari showing tigers of Tadoba. Open Jeeps or buses with tourists are available for visitors. 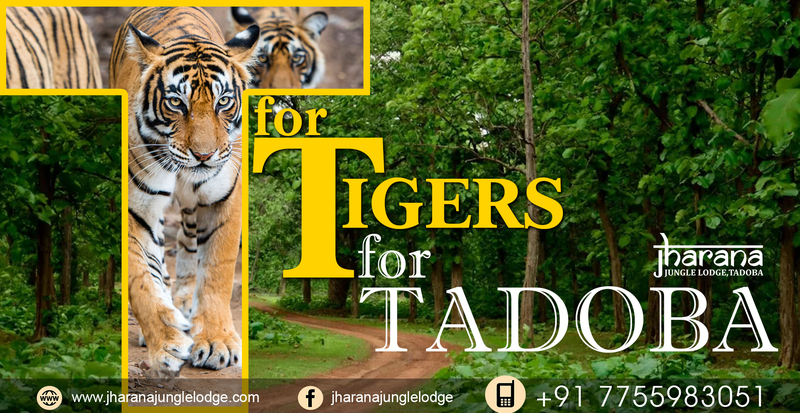 You can directly go to Tadoba or you can book a package tour with resorts around who can take you through the planned tours of core and buffer zones in jungle. Jharana Resort in Tadoba is one the famous resorts near Navegaon gate. Apart from safari, you can also enjoy the nature walk in woods, rope walk and bird watching among others. 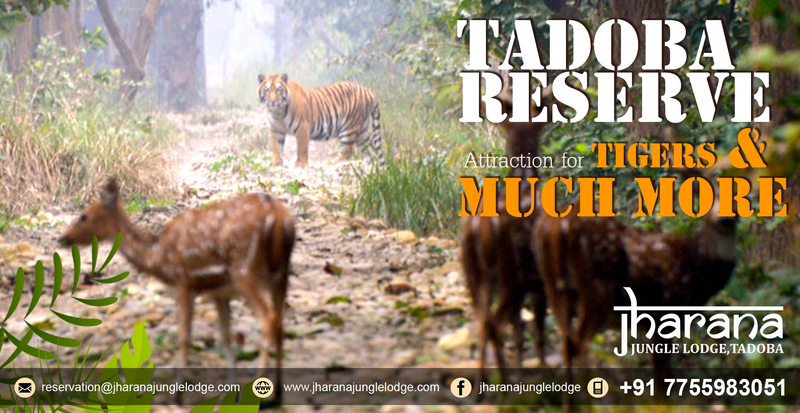 When you plan a trip to Tadoba, come to view the beautiful biology of flora and fauna and not just for seeing tigers. The way Tadoba is maintained says a lot above its popularity. As a responsible tourists, we need to help the reserve by maintaining the jungle. We should observe and learn instead of dirtying it. Jharana Resort arranges special packages for its guests that includes temple visit, village visit and sightseeing among others.